A startling novel about love and grief from the author of the acclaimed memoir I Don't Want to Be Crazy. secret. All that mattered was what they had with each other. And then, out of nowhere, Brian dies. 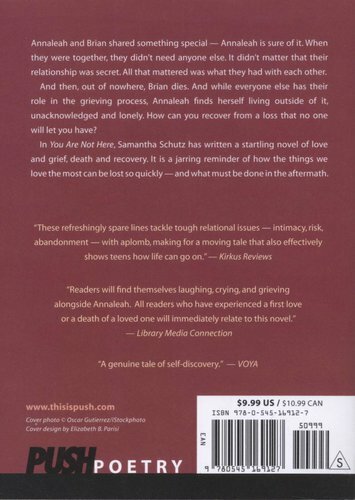 And while everyone else has their role in the grieving process, Annaleah finds herself living outside of it, unacknowledged and lonely. How can you recover from a loss that no one will let you have? 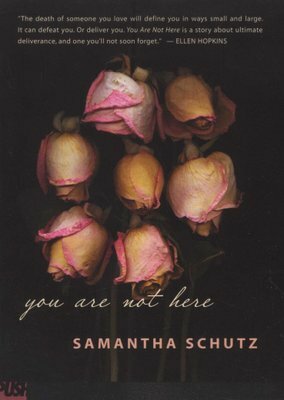 In You Are Not Here, Samantha Schutz has written a startling novel of love and grief, death and recovery. It is a jarring reminder of how the things we love the most can be lost so quickly--and what must be done in the aftermath.